"My favorite steak house around hands down! Great food, excellent cocktails, friendly service and a relaxing atmosphere makes this place easy to love. Start with their famous (or atleast I think so) bloody Mary's. As for starters, try the grilled artichoke, sweetbreads, linguisa or clam chowder. As for mains, I really enjoy their ribeye, pork chops, steak "sandwich", burgers, honestly I have never had anything I didn't enjoy." "Let me just say, the outside does not do this place justice. The food and service are impeccable! Seriously the best steak I have ever had-incredibly tender, didn't even think of steak sauce once I bit into it-first time ever. I ordered my steak medium rare and it was cooked perfectly. Our sever and host were so gracious and courteous. The house wine-terra-was delicious. A very good cab choice with a sweeter (vanilla) finish." "I'm torn between 4 or 5 stars. I'm biased because I live in Santa Maria and eat at this restaurant all the time. 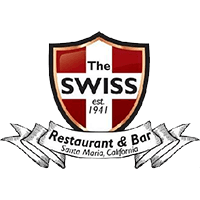 In Santa Maria, this is my favorite restaurant hands down so I'm going to go for 5 stars." "Jalapeño mac n cheese, prime rib sandwich w/ extra creamy horseradish, half pound steak burger, beef ribs, and the steak plate are some of my favorites. Broccoli cheddar soup and the scalloped potatoes are also great."